AN ESTEEMED clinician plans to change the face of the cosmetic industry with a pure vision for quality skincare treatment. Sara Cheeney’s unblemished approach towards the aesthetic sector has seen her place training and teaching at the top of her priority list, delivering talks and workshops across the UK and in Europe to encourage future generations. Sara’s first venture was Pinks nail and beauty salon in Rossett, which she opened 10 years ago after leaving her career as a nurse. 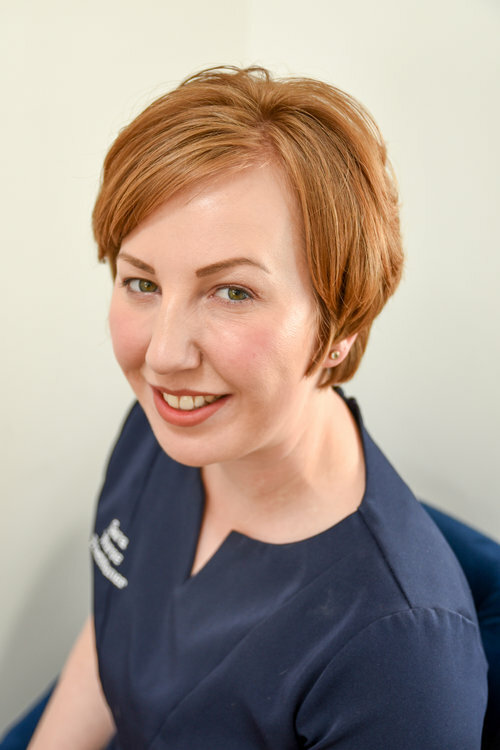 The 37 year-old later turned her attention to medical skincare and decided to take the business to the next level, launching Pure Perfection Clinic in the same village on the border of Wrexham and Chester two years ago. Sara – who successfully grew the company while fighting breast cancer and raising two young children – has big plans for the future, including new premises incorporating a training academy and expansion of their popular HydraFacial facilities. Having suffered with psoriasis as a teenager she is determined to support those who have experienced issues with their skin and is keen to “give back” to those in need of support. “When I was 15 years old I had psoriasis and it really troubled me, it made me very self-conscious when doing sports and activities at school and affected me mentally as well as physically,”, said Sara, who lives in Llangollen with accountant husband Chris, and children Eve, nine, and six year-old Tomi. “Eventually I was referred to a clinic in Liverpool and it’s there I developed an interest in helping others as I discovered all the treatments available in medical aesthetics; the facilities and services were life-changing. “I got my A levels and trained as a nurse at Coleg Cambria and later Bangor University, but my heart was always set on having my own medical aesthetics business. She added: “It was 10 years ago that I made the decision to go for it, which was quickly followed by me having a baby, so it was a challenging time, but we worked hard to get the business off the ground and make it a success. “Moving from being solely focused on beauty therapy to the medical side of things was daunting and that’s why I decided to ensure I had all my experience and policies in place so we would be recognised as a safe and registered clinic. Sara transformed Pinks into a medi-spa before moving to a bigger complex on Chester Road in 2016 and opening Pure Perfection Clinic. “Pinks was a great place to learn how to run a business and gave me a platform to move forward and launch Pure Perfection Clinic as it is today, focused on medical aesthetics and quality skincare treatments ranging from HydraFacial – which uses six techniques in one sitting, producing incredible results and saving time – to Botox, dermal fillers, peels, skin needling and semi-permanent make-up,” she said. “We offer services to combat everything from acne, rosacea, pigmentation disorders, sun damage, thread veins, skin tags and eczema, which are all beneficial to the customer, physically and psychologically. “As we get older the bone structure changes and so does our skin, so we start to look tired, angry and sad, and that’s before accounting for lifestyle and damage from too much sunshine or moisturisers. Pure Perfection Clinic has increased from two to seven staff in recent years and Sara has plans to expand further as the firm continues to grow steadily. Her own reputation has soared since teaming-up with global leader ZO Skin Health, who invited the former Ysgol-y-Berwyn pupil to be a national trainer teaching other medical professionals, and also to speak as a brand ambassador at conferences in Manchester and London. Sara was also one of only 15 international delegates to train exclusively with ZO founder Dr Zein Obagi at his clinic in Los Angeles, and HydraFacial bosses were so impressed with her positivity towards their product she was asked to be an opinion leader and speak at its launch events in Copenhagen and Stockholm. Having achieved all of this and battled cancer, she is now looking ahead to the future with a renewed sense of purpose. “Being told I had breast cancer was a bolt from the blue, but I had no choice but to just get on with my life,” she said. “I went through chemotherapy and several surgeries while still working as much as I possibly could, that was my focus – that and my family. “However, I never want to be labelled a victim. Like many people who’ve fought the disease I gained strength from it and moved on with my life. Sara added: “We are already held up as a beacon of best practice and other practitioners turn to us for advice and training, and we want to make this a hub for learning and knowledge, for the good of the industry. “Let’s raise the bar in North Wales and the North West and ensure medical aesthetics is carried out by professionals who have a true passion for skin health and the ageing process. “I’m part of the #safetyinbeauty campaign online trying to name and shame bad work and bad standards and would urge patients to find out more to ensure they are not the casualty of unprofessional malpractice. For more information, visit www.pureperfectionclinic.com and follow them on Twitter and Facebook at @purepclinic and Instagram @pureperfectionrossett.